The ultimate mug for classic gamers! 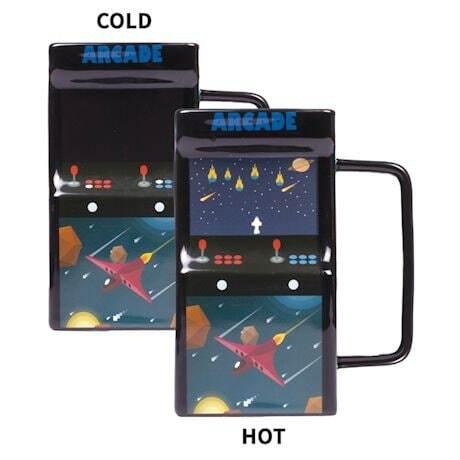 It not only holds a whopping 17 oz of coffee, but the console's screen "turns on" with an 8-bit game when hot. 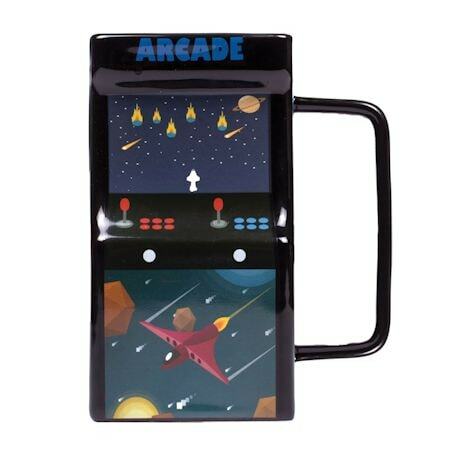 Perfect for long gaming sessions. Ceramic. Handwash.